Tavares Martin Jr. of the Washington State has this touchdown catch called back for an offensive pass interference pushing off of Elijah Hicks of California on Friday in Berkeley, California. The Bears won 37-3. 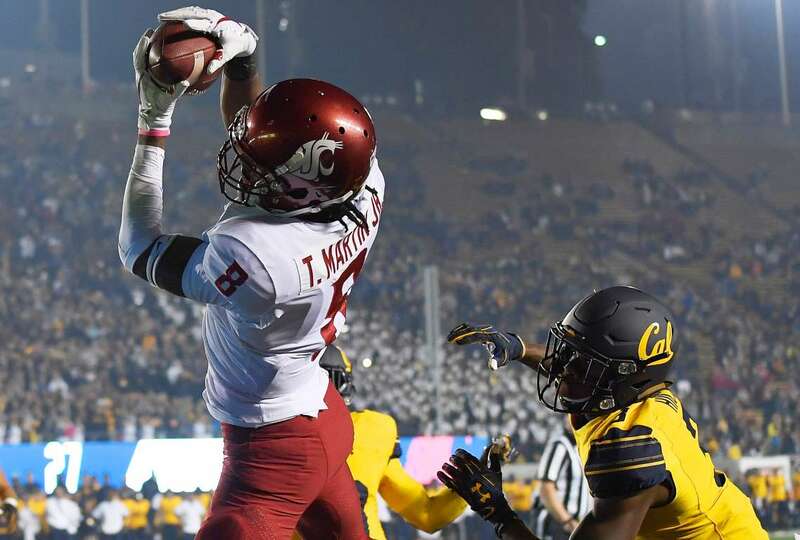 Tight clasp Tavares Martin Jr. of the Washington State has this touchdown catch called back for an offensive pass interference pushing off of Elijah Hicks of California on Friday in Berkeley, California. The Bears won 37-3.